The majority of California’s water districts have stepped up to meet strict new water conservation rules, according to data released by the state on Thursday. Almost 40 percent of urban water suppliers cut their water use dramatically, by 30 percent or more. Under the rules, districts must save between 4 and 36 percent of their water use, compared to what they used during the same month in 2013. The State Water Resources Control Board set the goals based on the per capita water use in each district. State officials applauded the water savings in June, which was the first month the mandatory rules took effect. Overall, Californians saved 27.3 percent, exceeding the 25 percent goal called for by Governor Jerry Brown. Many Northern California water districts passed with flying colors. Menlo Park, Redwood City and the Dublin-San Ramon Services District all saved 31 percent more water than required. 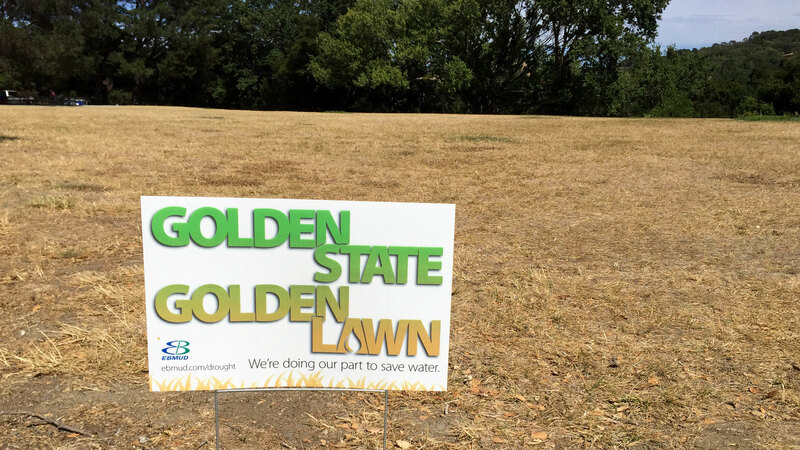 The Peninsula's Westborough Water District was one of the few Bay Area agencies that fell far short of its conservation goal, failing to produce any savings in June. To meet the conservation mandates, most Bay Area water districts have limited watering to two days per week, banned watering during peak daylight hours and have banned sprinkler runoff and using water to clean sidewalks and driveways. Water agencies in San Jose, Dublin and Morgan Hill have banned filling new swimming pools with potable water. The city of San Jose prohibits washing cars at home with potable water. Residents must use gray water or go to commercial car washes. State officials will be meeting with the worst-performing providers to review their drought conservation plans. The board can issue fines of up to $500 a day for districts that fail to comply and ultimately, can levy more stringent fees of up to $10,000 a day if districts flagrantly ignore the rules. Saving water also means selling less water to customers, so many water districts are now grappling with revenue shortfalls. Water districts generally have inflexible costs, like paying for their water supply or infrastructure. Some are imposing surcharges on customers to make up for it. The East Bay Municipal Utility District imposed a 25 percent surcharge on its customers on July 1 to make up the cost of buying extra water and to pay for conservation and enforcement efforts. State officials warned that with several more dry months ahead this summer, water districts would have to keep up their conservation efforts. Marcus also expressed concern that there’s been too much focus on El Niño, the weather pattern that forecasters say could deliver heavy rainfall this winter. “It sends too much of a mixed message on conservation,” she said. Map produced by Matthew Green and Johanna Varner.